Ben Jones has been guiding for us on Kilimanjaro for the last 7 years and boasts a 100% success rate on the mountain (18 summits, 18 expeditions). For the rest of the year, Ben can be found guiding in Alaska, Antarctica, South America, in the Himalayas and most of the 7 summits. Ben has spent the last 10 years working as a professional guide and instructor in Alaska, Wyoming, Idaho, Washington, British Columbia, Norway, Argentina, Nepal, Tanzania, Indonesia and Mexico. Ben is proficient on rock, ice, and snow but spends a majority of his time in the snow on high glaciated peaks. 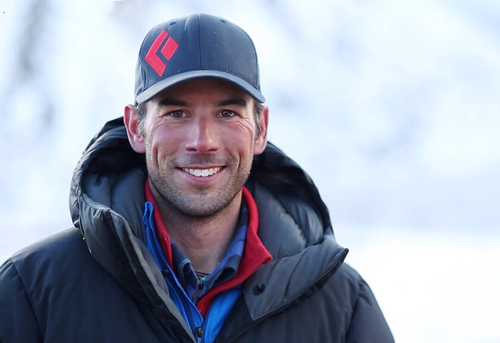 Ben has instructed courses in mountaineering, backcountry skiing, snowboarding, and horse packing. While teaching mountaineering at National Outdoor Leadership School, Ben got to extensively explore the glaciers of the Chugach Mountains, Wrangells, eastern Alaska Range, and remote mountains in British Columbia, as well as in Wyoming and Idaho. In the off season while residing in Jackson Hole, Wyoming, and when not traveling and exploring different countries around the world Ben’s hobbies include skiing, climbing, metal work, fixing things, practicing Spanish, and Swahili. Recently Ben has been very active in the Himalayas. He guided Everest in 2011, 2013, 2014, 2016, 2017, and 2018 notably guiding the Everest/Lhotse combo in less than 24 hours in 2013. He also led our Cho-Oyu expeditions in 2013 and 2014. With yet another busy year planned in store, Ben will also leading expeditions to Carstenz Pyramid, Cho-Oyu, and Kilimanjaro as well as guiding 3 Vinson expeditions to round out his season as one of the most active guides in the industry. I have to say, that I can only speak of Alpine Ascents, the Seattle office, Gordon Janow, Joe in equipment, Chris, Ellen Cravens and Eric Murphy in superlatives. From the first phone call with Chris, through the end of our trip, and followup, our experience with Alpine Ascents has been great, without reproach. At every step of the way, we felt that fine attention was given to our every need.